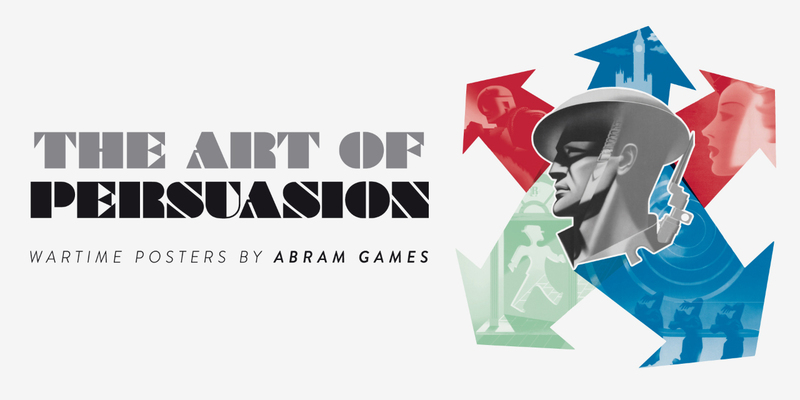 I nipped along to the National Army Museum this morning, for the preview of a fantastic exhibition of posters by Abram Games – The Art of Persuasion. 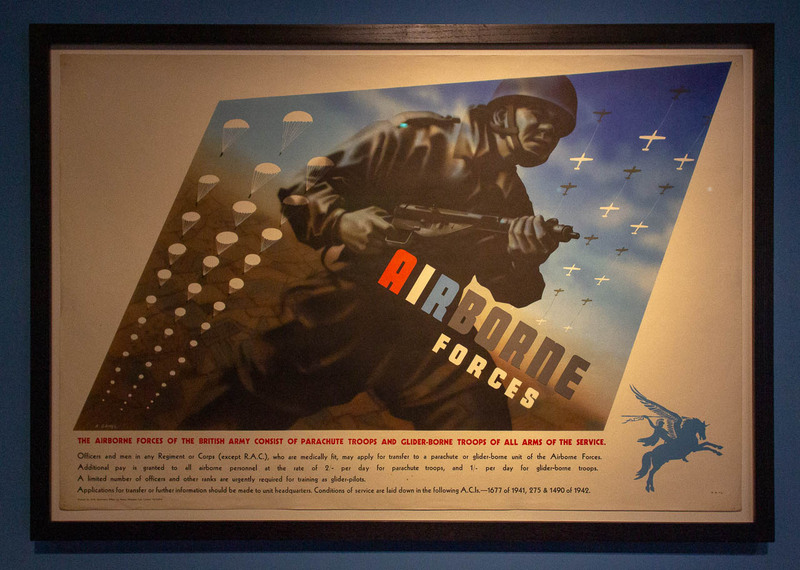 The works were all designed for the PR Department of the War Office, between 1941 and 1945. It’s a wonderful show, with over a hundred of Games’s iconic (and now quite rare) designs, and features lots of his original artwork. 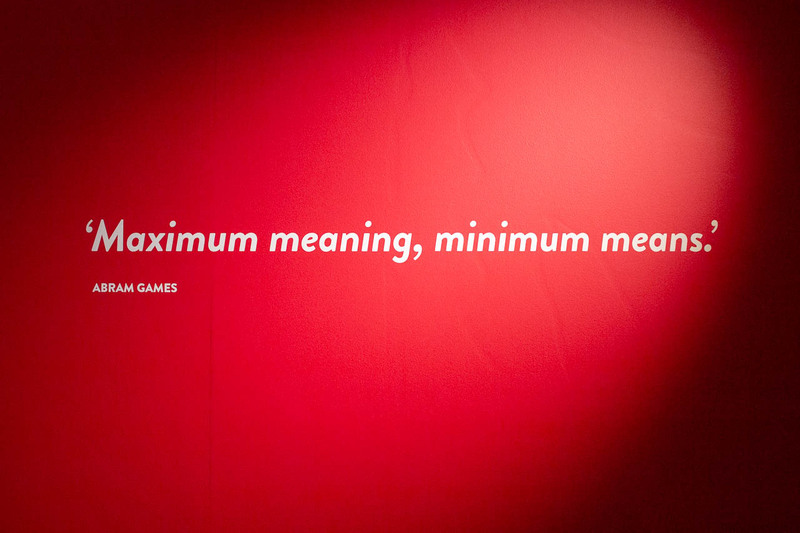 Games described himself not as an artist, but as a graphic thinker. 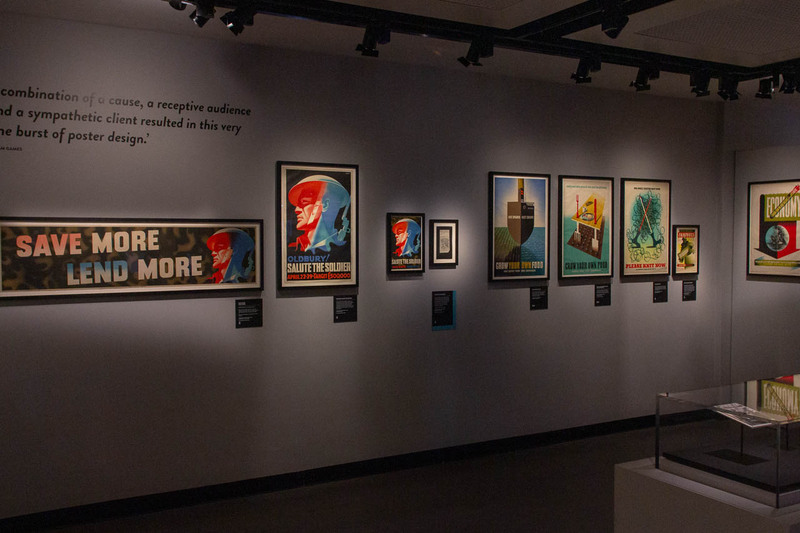 He was a pioneer and master of the airbrush (his skill with it having been honed while working as a photographic retoucher for his father), using a limited palette to create vibrant posters that catch the eye and communicate a message in seconds. 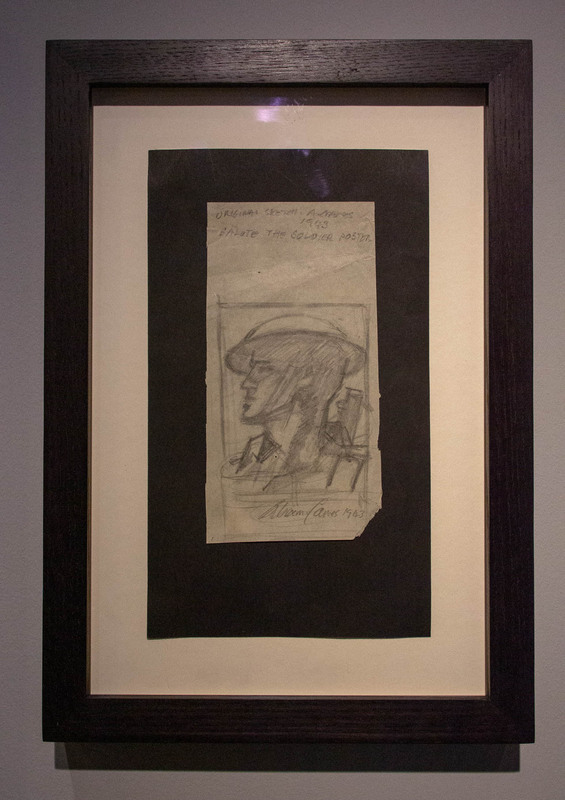 You get a real insight into his working process, with sketches such as this one for the Help the R.A.F. 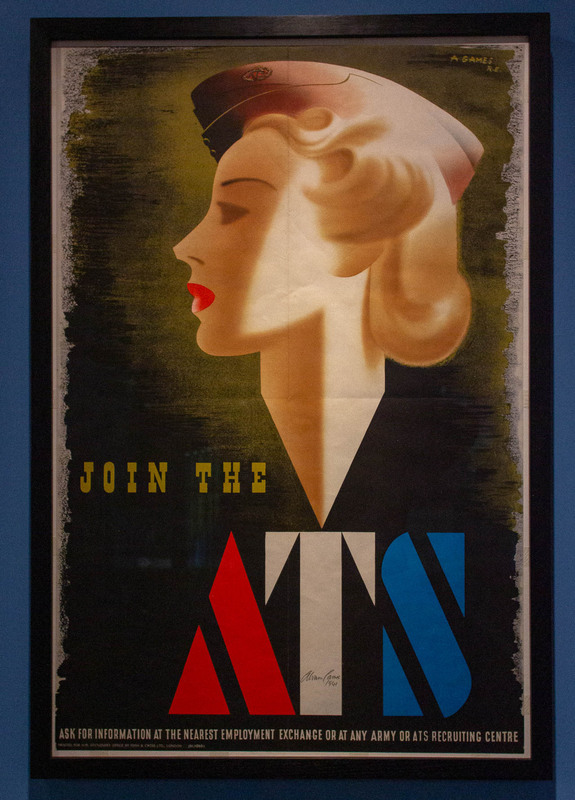 Join the WAAF poster, 1940. Subsequently, despite being successful, the poster was withdrawn and most copies pulped. 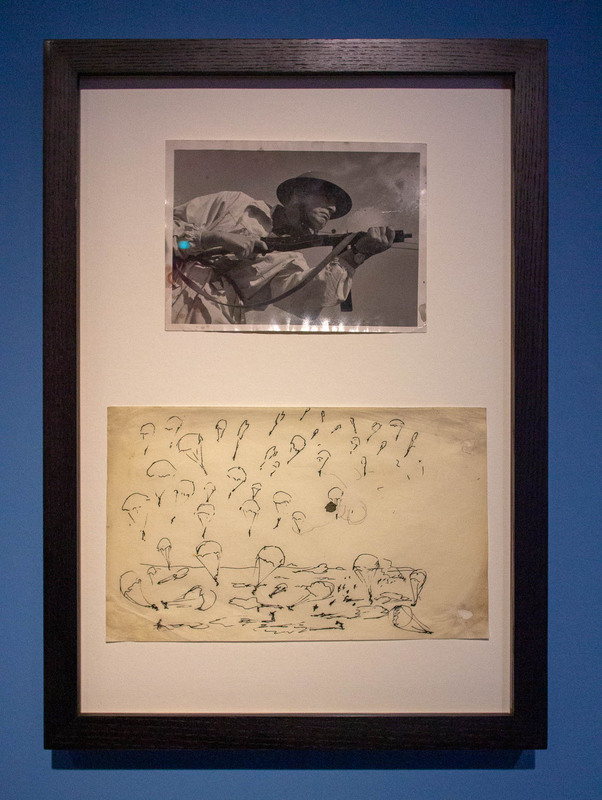 Here’s a source photograph and preliminary sketch for the Airborne Forces recruitment poster. 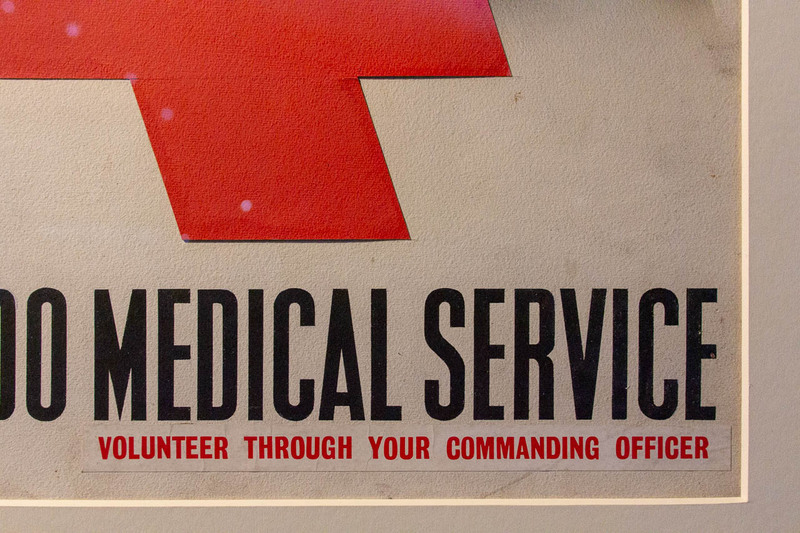 This detail from his Commando Medical Service poster artwork reveals his hand, as well as showing some of the pasted up elements added to his designs (1945). 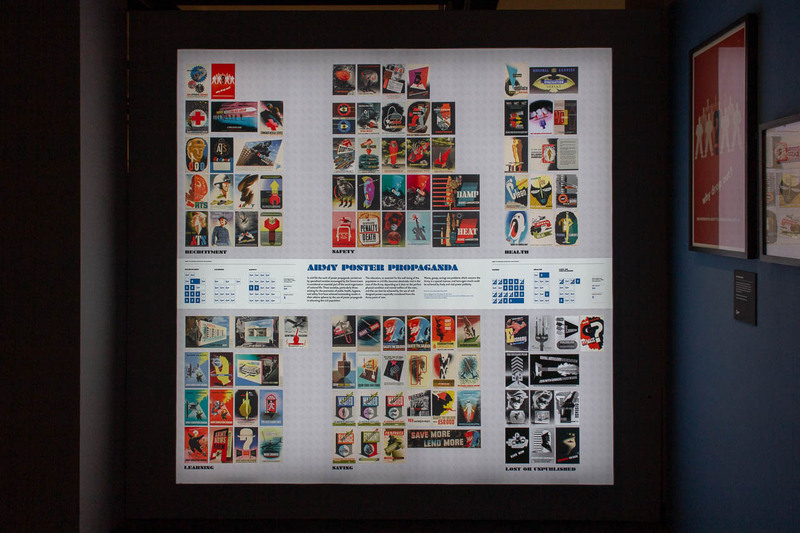 There’s also a really useful illuminated display showing the incredible number of posters Games worked on, grouped by subject: Recruitment, Safety, Health, Learning, and Saving. 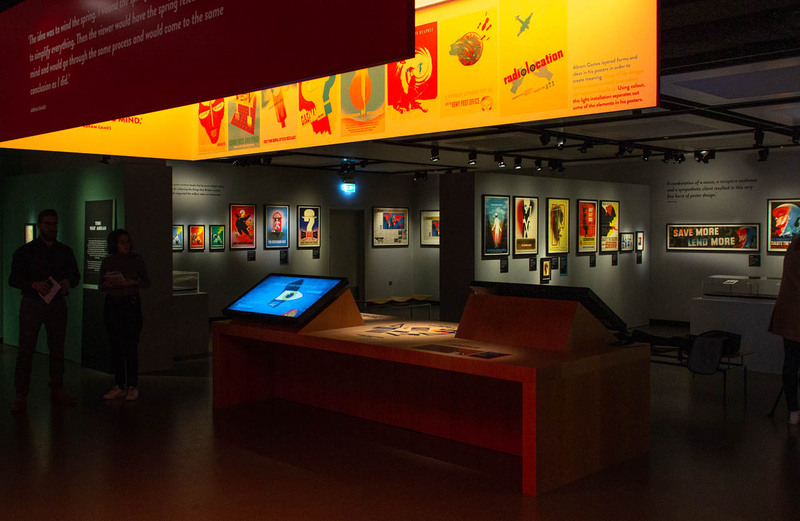 The posters are further classified as designs either exclusively for an army audience, for a civilian audience, or for both. 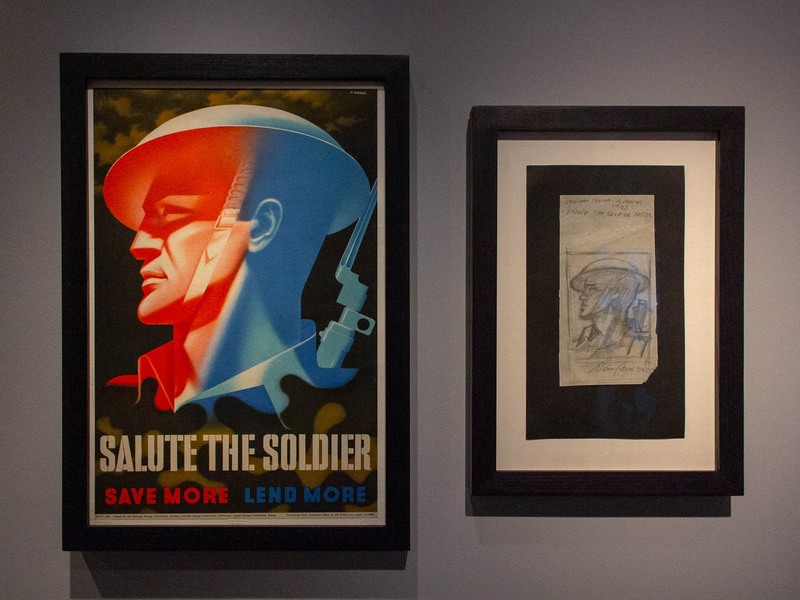 The central image used to promote the exhibition comes from this Salute the Soldier lithographic poster, from 1944. 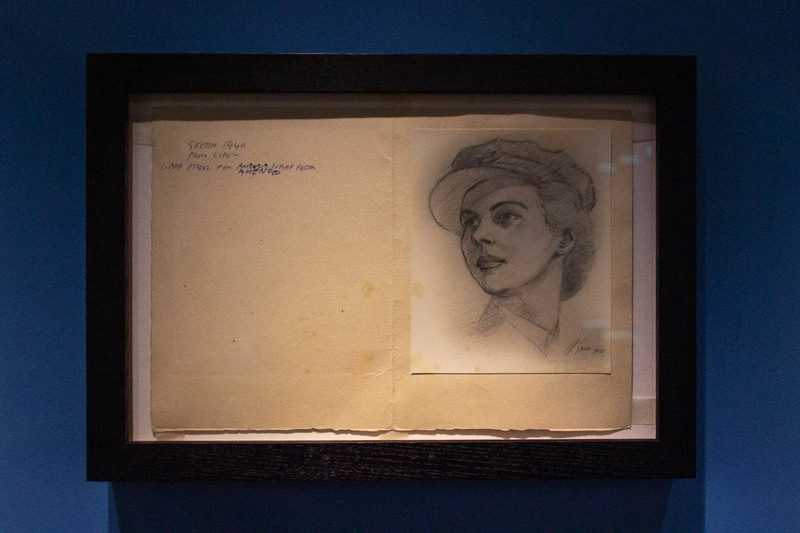 Next to it you can see the original pencil sketch, from 1943. Salute the Soldier week was held in 1944, organised by the National Savings Committee, to raise funds for the war effort. As part of the campaign, local communities had their own fundraising drives, with their own adapted posters, such as this Oldbury! 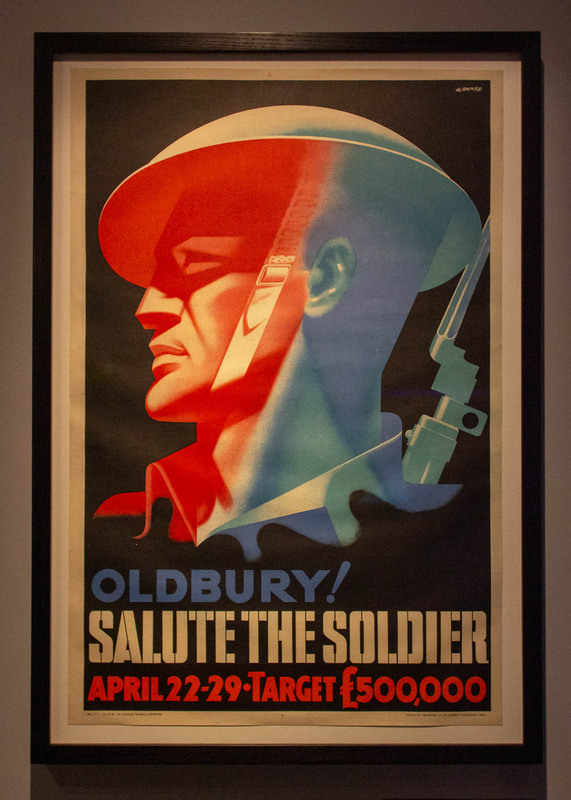 Salute the Soldier lithographic poster. 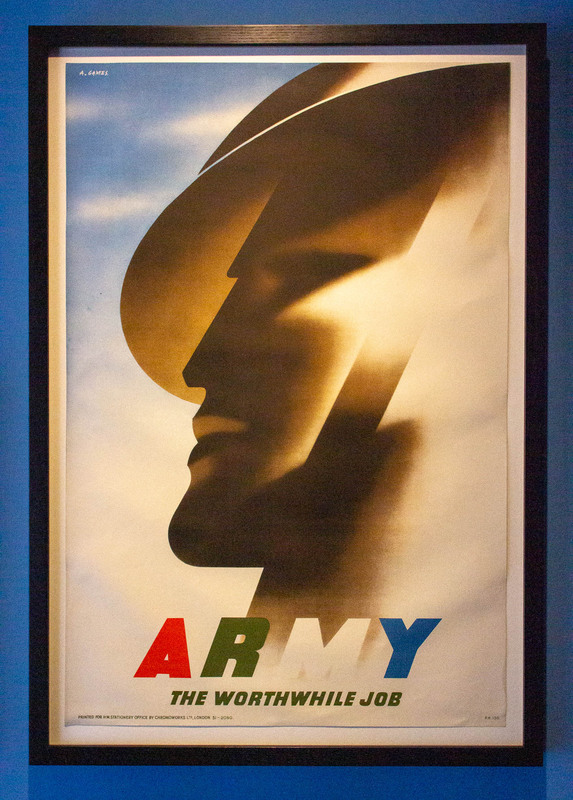 Games used a similar style for this Army - The Worthwhile Job poster in 1946. It shows a breathtaking economy of form. 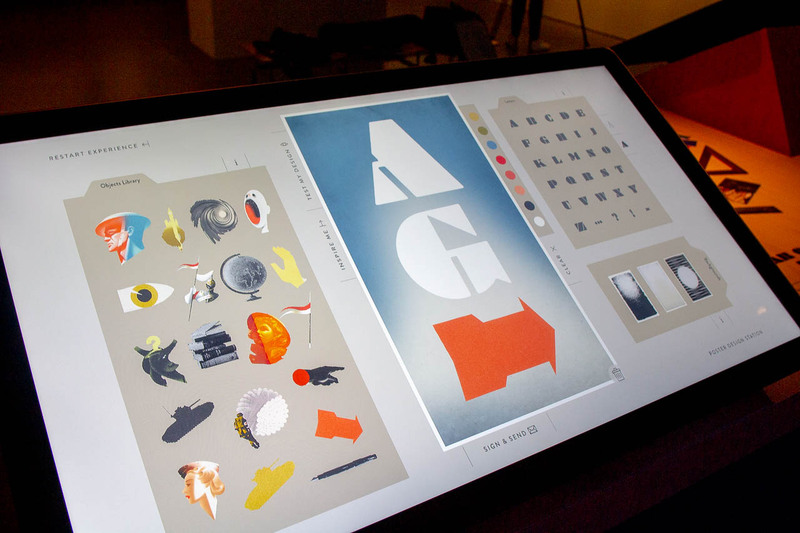 Also at the exhibition is this brilliant touch-screen drawing board, where you can drag and drop bits of Games’s artwork onto a poster template, which you can then re-scale, re-colour, and add lettering to. It’s intuitive and engaging. Oddly, we’ve been chatting recently in the studio about whether this style of hands-on digital design might be the next evolution of the design interface. 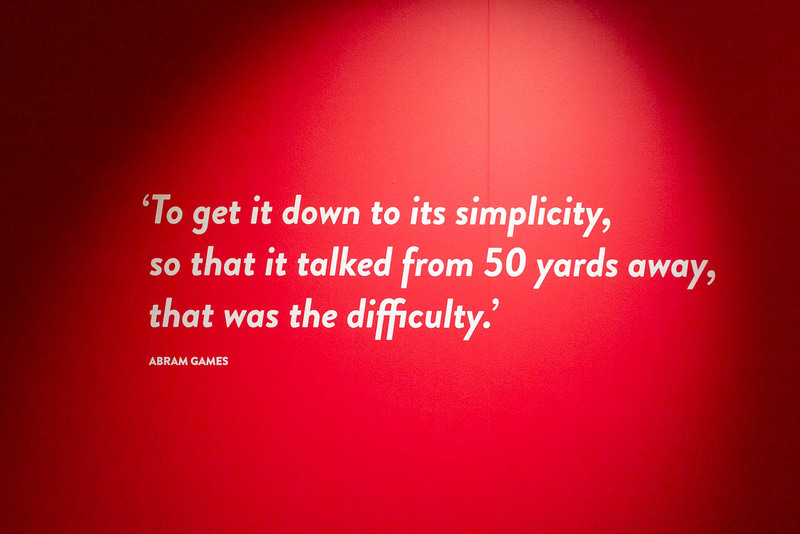 Coinciding with the show, English Heritage have also just unveiled a (long overdue) Blue Plaque for Games at his old home and design studio in Golders Green. The show is brilliant, make sure you get along if you can. It opens this Saturday, and runs until 24 November. 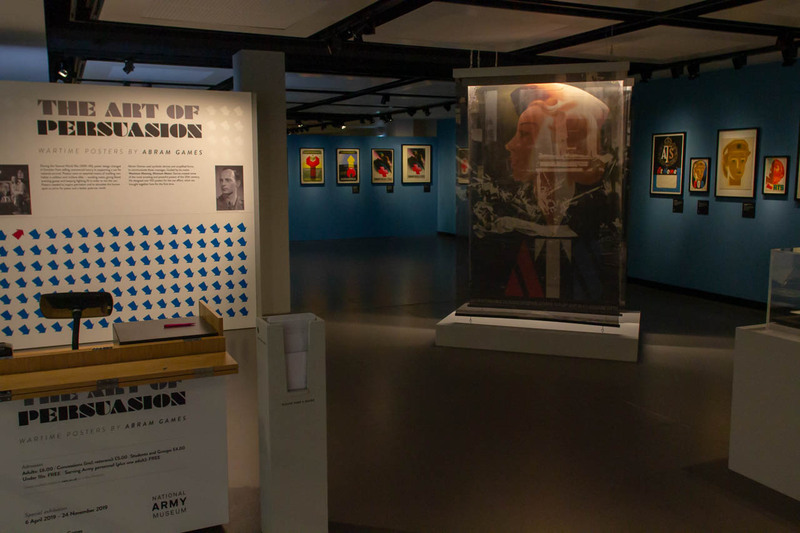 The National Army Museum is just a short walk from Sloane Square tube.